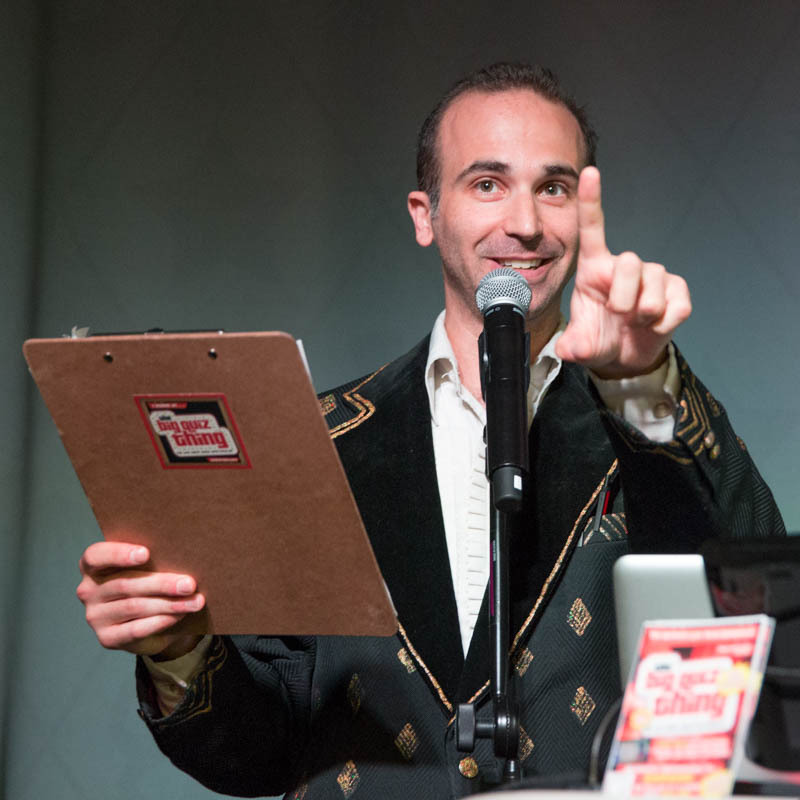 The Big Quiz Thing: NYC quiz recap: The Big Family Quiz Thing! NYC quiz recap: The Big Family Quiz Thing! Fun, fun, fun, fun: This afternoon's Big Family Quiz Thing was a huge success, as we sold out SubCulture for an afternoon of supreme trivia fun. Thanks to the enthusiastic 30-plus teams on hand, thanks to BQT assistant Liv for running the face-painting table, thanks to our big list of fantastic prize sponsors (primarily Time Out Kids, but also Children's Museum of Manhattan, Milk & Cookies Bakery, Stomp, iLuminate, Chelsea Piers, BowTie Cinemas, Pogo Events, and the Skate Truck NYC), thanks to the mystical gods of trivia. And hey, extra-special thanks to the guy who came in during the first question and shouted out the answer the first question. The largest country that borders only one other country? That gave us a night of fun call-back jokes (yes, Justin Bieber is Canadian—coincidence?). Plus: Plenty of great wrong-but-funny answers earned bonus points. Stumped by a sports question (about which city sent two teams to the finals of the four sports leagues last year), a team wrote, "Stop watching TV and read more books!" Later, stumped by a books question (what's the best-selling copyrighted book of all time, according to the Guinness Book of World Records? ), another team wrote, "Stop reading and watch more TV!" This was our second ever Big Family Quiz Thing, again with Time Out Kids, and stay tuned for TOK's recap, complete with photos and an interview with the winning team: 11-year-old Alexander, 7-year-old Kasimira, plus their accompanying grown-ups, as the team Cerebral Vortex. Despite team Underdogz appropriately almost scoring a huge come-from-behind victory, Alexander won it for his squad displaying his knowledge of which Dunkin' Donuts product takes its name from The Wizard of Oz. Impressive; photos of the winners to come. Stay tuned for details about the next Big F Quiz Thing. In the meantime, if you're of drinking age, check us out at SubCulture on February 4 (or our Oscars show on March 2, or our music quiz on April 1), or find out how you can hire us for your own private quiz spectacular. Or just become obsessed with us on the Internet, whether it's our website, Facebook, or Twitter. And now, the standings: Due to the extreeeme number of teams, we only listed the top ten in order at the show. So here's the complete tale of the tape.